Lake Minnetonka Home Improvement Projects: Which is Best for You? Lake Minnetonka home improvement projects can cover virtually the entire spectrum of housing. Home improvements can range from custom finishing newly-constructed spec homes to older home remodeling updates to fixer uppers that need considerably more than just a little TLC. Let’s take a look at the various options available in the housing market in which Lake Minnetonka home improvement projects can make an important impact. New Construction or Builder Remodel It’s no secret the new home market has been one of the most attractive in recent years. In part, new construction has added an element of increased supply to a national real estate market that has suffered from a lack of available inventory. The biggest attraction to new construction is just that – it’s new! Yet, with all its newness and “move-in” readiness, new homes do present some potential purchasers with a major drawback – there are few components to which buyers can claim for “their own.” Unlike a custom home construction project built to the owners’ specifications, most new construction allows little for the purchaser to customize or have input on. In addition, some home buyers feel that a newly built home lacks individual personality since the home has been designed to attract a larger pool of typical buyers. That brings us to the first of the Lake Minnetonka home improvement projects – some developers and builders allow certain customizations to their homes. 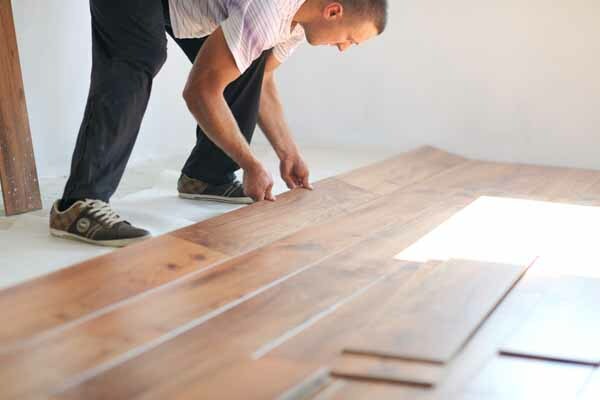 The improvements can range from what color or type of paint or wall covering the home can have to the type of floors – carpet, tile, or hardwood flooring. In addition, some developers or builders will give their purchasers the opportunity to make other customizations from appliances, kitchen cabinetry, kitchen and bathroom hardware and more. Arguably the most popular of the Lake Minnetonka home improvement projects is the owner remodel option whereby the homeowner elects to renovate all or part of an older home. Often the remodeling project can be undertaken expressly for the satisfaction and enjoyment of the homeowner. Many times – especially in the past several years as home values have risen steadily in some markets – homeowners elect to perform remodeling that will enable them to put their home on the market and command top dollar because of the popular updates it will offer. Homeowners who have done their Lake Minnetonka home improvement projects homework and who can select knowledgeable remodeling contractors can indeed make improvements to homes that can improve its value dramatically – especially in a rising home value market. A word of caution, however, not all home improvements will add value to a home. The best thing to do is to discuss the improvements you want to make and get a cost estimate. Then have a frank discussion with a real estate professional as to the price range you could expect to sell your newly-modeled home. Then, the decision is easier. If you’re able to recoup more of the cost incurred by having the improvements performed than by not having them done, you should consider moving forward with your remodeling plans. While there are advantages for each of the three major Lake Minnetonka home improvement projects options, our best advice is to decide which is right for you. The most important factor to consider is the result of a comfortable balance of money and time combined with what you want and what you need in your home. Lake Minnetonka home improvement projects can be rewarding and fun – but only if you have the mindset, temperament and financial wherewithal to undertake them. You can find more articles pertaining to Lake Minnetonka home improvement projects in the Lake Minnetonka Home Improvements section of our site below Lake Minnetonka Real Estate Categories in the column to your right.We also post tips daily on Twitter and Facebook and would love for you to follow us there as well.